Reports, journals, and publications edited or produced by CSPO faculty and students. 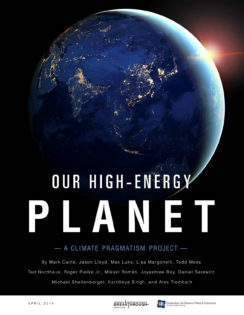 Drastically improved efforts to provide modern energy access to the poor opens up a new approach to development efforts and action on climate change, an international group of energy and environment scholars argue in a new report, Our High-Energy Planet. This new report from ASU’s Consortium for Science, Policy & Outcomes (CSPO) presents the results of an innovative partnership between NASA and a network led by CSPO. 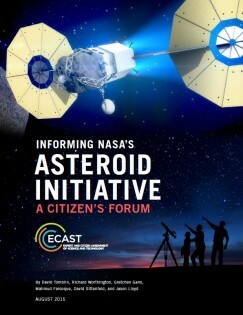 By directly engaging the American public in NASA’s plans for future space missions, the project breaks new ground in increasing citizens’ understanding of and engagement in the work of a federal agency. 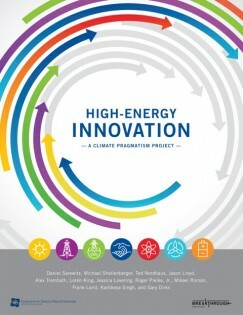 A new report from the Consortium for Science, Policy & Outcomes and The Breakthrough Institute develops an improved framework for climate adaptation in the 21st century. 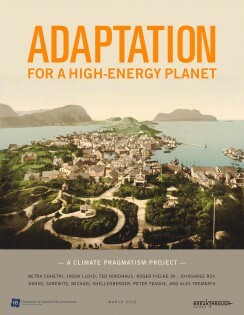 Adaptation for a High-Energy Planet highlights successful adaptations, connects them to robust socioeconomic development efforts, and explores what they mean for helping communities to thrive in an ever-changing world.